"Trident College focuses on creating a safe and secure environment that is home to boarding students where we provide the level of care, support and challenge to develop happy, resourceful and assured individuals. " 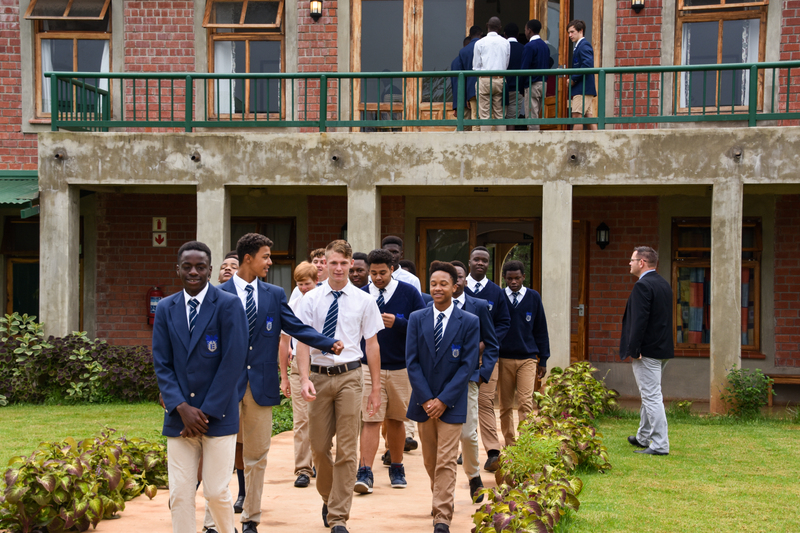 Our four boarding houses are friendly and welcoming with both individual and shared sleeping areas as well as designated work areas where students are able to study. Each has two common rooms, a kitchen area, TV and Wi-Fi access. The layout and decor reflect the age group and students that live there; individual students are able to personalise their own areas creating a homely ambiance. Each House has a different identity while following a similar daily routine and has a matron who looks after the domestic issues. The Housemaster and Assistant live either in adjoining accommodation or houses on either side of the boarding block. A matron lives within each boarding house for any emergency occurring after lights-out and students have the ability to call on duty staff using phones in the common-room. There is a nurse on site during the day who the children can visit when necessary. A large central dining complex offers a break-time snack and lunch for both day and boarding students. Breakfast is from 5.45 – 6.30 am and dinnertime varies according to the boarding house and day of the week. For further information please view our boarding handbook.